Will Ukrtelecom Sale Be Honest? 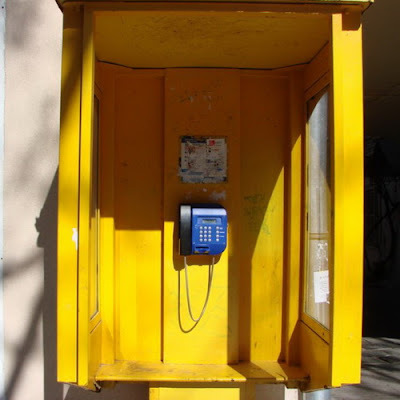 KIEV, Ukraine -- The auction of the state-owned fixed—line telephone monopoly due Dec. 28 will be the nation’s biggest since Kryvorizhstal was sold for a record $4.8 billion. Ukraine’s government on Oct. 13 formally launched a privatization tender for a controlling stake in fixed-line telephone monopoly Ukrtelecom, the sale of which has long been stalled due to political gridlock. The auction, to be wrapped up by Dec. 28, sets the stage for the nation’s biggest auction since top steel mill Kryvorizhstal was bought for a record $4.8 billion by the world’s largest steel group, ArcelorMittal. With a starting price of $1.3 billion, the Ukrtelecom sale is likely to raise badly-needed fresh cash to cover stretched state finances. But don’t expect the biggest bidders to line up for Ukrtelecom, let alone a record-making sale price. The sale is proceeding with controversial restrictions that threaten to exclude leading global telecommunications companies from the bidding. As the first big sell-off of state property under President Viktor Yanukovych, who took power on Feb. 25, the Ukrtelecom sale is being watched closely to gauge how transparently privatization will be conducted under his leadership. Concerns exist that valuable assets could be sold off at below-market prices to well-connected oligarchs, as happened when Yanukovych served as prime minister from 2002-2004 and again from 2006-2007. It was, after all, in 2004 when Yanukovych served as premier that the Kryvorizhstal steel giant was first privatized for $800 million to two billionaire oligarchs, despite bids nearly twice as high by steel groups. The winning bid then was by a consortium backed by longtime Yanukovych supporter Rinat Akhmetov, Ukraine’s richest man, as well as billionaire Viktor Pinchuk, son-in-law to then President Leonid Kuchma. The Kryvorizhstal steel mill was renationalized and resold after the Orange Revolution by the government, then headed by Yulia Tymoshenko. It was and is still regarded as Ukraine’s only successful and clean privatization. Five years later, fears are running high now that Yanukovych could try to limit competition for Ukrtelecom, ensuring that it ends up in the hands of chosen business allies. On Oct. 13, Oleksandr Ryabchenko, head of Ukraine’s State Property Fund, expressed hope that at least $1.5 billion would be raised when the winning bid was chosen. But he admitted that competition could be limited by the tender conditions. Top European telecoms companies that have to various degrees expressed interest in Ukrtelecom over the years – including Deutsche Telekom and Norway’s Telenor – are prohibited from taking part in the tender because they are more than 25 percent government-owned. Telecoms that hold more than a 25 percent market share in Ukraine are banned from bidding by another condition. Oleksandr Bondar, former head of Ukraine's privatization agency, said the conditions were created to exclude some bidders. "The thing is being put together in an entirely unprofessional manner," Bondar said. In a note to investors, Kyiv-based investment bank Dragon Capital concluded that the restrictions would boost tender chances for domestic billionaires and Russian bidders. ”We consider domestic business conglomerate System Capital Management and Russia’s AFK Sistema, which owns domestic cellular operator MTS, the most likely bidders for Ukrtelecom,” Dragon said. System Capital Management is the business holding of Akhmetov. Ryabchenko insisted that the tender restrictions were required by Ukrainian legislation, but neither he nor other top officials could explain why Yanukovych’s dominant ruling coalition could not change the legislation ahead of the tender to boost competition in the auction, and, in turn, generate more cash for budget coffers. “We do not have the right to sell Ukrainian assets to other states. This is not privatization,” Ryabchenko said. Meanwhile, Serhiy Lyovochkin, head of the presidential administration, stressed that the Ukrtelecom sale would be transparent. He also defended the bidding restrictions citing national security concerns and described Ukrtelecom as a “strategic” asset that provides telecommunications to much of the country, including government and military. But Lyovochkin could not explain how such national security concerns could be minimized if Ukrtelecom is sold to private business interests, including Russian oligarchs who are strongly influenced by the Kremlin. “That’s a good question,” Lyovochkin said in at an Oct. 13 briefing in response to a question by the Kyiv Post. Experts say Ukrtelecom is a highly bureaucratic and mismanaged corporate dinosaur which has been milked of its profits and has sharply lost value in the past decade. It has fallen decades behind European peers in terms of introducing new telecoms technologies. But it still controls about 80 percent of the fixed-line market in Ukraine, a country of 46 million citizens, as well as a major share of the nation’s telecommunications backbone. It holds the country’s sole 3G license, has only a relatively small mobile business after its leading mobile phone company was sold off in 2003 to Russia’s MTS at a fire sale price of about $200 million. Today, that mobile phone business is valued at billions of dollars, more than Ukrtelecom will itself be sold for. Moreover, the MTS mobile business in Ukraine generates perhaps hundreds of millions of dollars in profits annually, while Ukrtelecom mustered only $6 million in the first half of this year. Without a strong mobile business of its own, Ukrtelecom has gradually lost clientele, revenues and profits. Corporate and private clients have increasingly turned to better quality services provided by privately-owned mobile and fixed-line operators.